New collaboration will fuse the two companies’ strengths in precision digital tools, enabling farmers to improve efficiency, increase productivity and boost profitability. 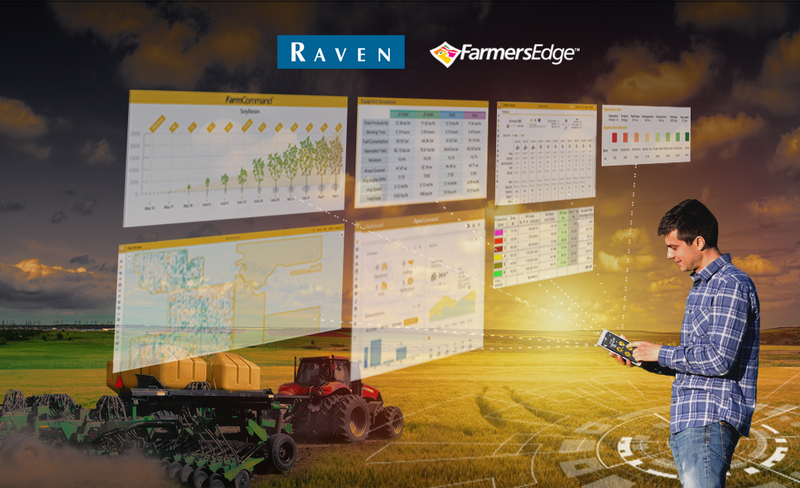 SIOUX FALLS, South Dakota/WINNIPEG, Manitoba (May 9, 2018) — Raven Industries, Inc. (NASDAQ:RAVN), a leader in the application control market, and Farmers Edge, a global leader in decision agriculture announced today a marketing and collaboration agreement. The two companies are working together to develop new precision agriculture technologies that will rapidly increase expansion of Farmers Edge digital agronomy and risk management solutions in key markets. The collaboration leverages the use of streaming data transfer between CanPlug and Raven Slingshot® and field computers.